Tipard DVD Cloner is powerful DVD Copy software. 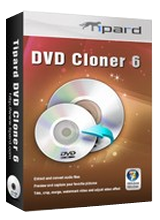 Tipard DVD Cloner 6.6.2 was available as a giveaway on November 15, 2015! Tipard DVD Cloner is a powerful DVD Copy software, which has the ability to copy DVD to DVD disc, DVD folder and ISO files with much higher speed. You can clone DVD-9 to DVD-9, DVD-5 to DVD-5 and DVD-9 to DVD-5 with high quality. It also supports three modes that you can choose to copy your DVD: “Full Copy” to clone your all DVD video, “Main Movie” mode to copy integral movie of your DVD and “Customize” to copy the video parts you want to. 3 Copy modes: Full Copy, Main Movie and Customize. 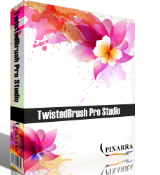 Tipard provides 50% off coupon code: TIPAGHIA (apply to recommended products and other products) for all GOTD users. Valid time: Nov 14th 2015 – Nov 16th 2015. How would you improve Tipard DVD Cloner 6.6.2? SFTP is a secure file transfer protocol but very difficult for end users to transfer files. In my case, I use a file transfer software called Binfer all the time. The link is http://www.binfer.com/download. Does not show in all programs or add remove programs but states registration is successful. It does show in the Add or Remove Programs list. ric you say it does show up. under what name does it show? I can not find any reference to Tipard DVD Cloner in Add or Remove Programs list. Installed on Win10 desktop easily. Slysoft's Anydvd and Dvd clone2 are the standard by which these type of programs are measured. True, they are not free, but they are worth the price. Will it remove copy protection? I think the Leawo one does. It had no problem with a couple of disks that DVD Shrink rejected. It sounds like Tipard specializes in software for Macintosh and other apple products, regretfully, so I won't be downloading this to my PC. Just a reminder: You are legally permitted to make one backup copy of commercial, copyrighted DVD or CD that you have purchased. Please respect the rights of the artists and producers. It sounds like Tipard specializes in software for Macintosh and other apple products, regretfully, so I won't be downloading this to my PC. Just a reminder: You are legally permitted to make one backup copy of commercial, copyrighted DVD or CD that you have purchased. Please respect the rights of the artists and producers. Each an every time(I tried 3 different DVDs) I insert a DVD to copy the message pops up "This driver has no disc", and at the same time another program starts to play the content of the DVD. It does not work. Uninstalled. Each an every time(I tried 3 different DVDs) I insert a DVD to copy the message pops up "This driver has no disc", and at the same time another program starts to play the content of the DVD. It does not work. Uninstalled. Nice programs for DVDs, but this is the day of the Blu-ray. Produce a Blu-ray Cloner that will do all of this and more. I see you currently only have a Blu-ray player. Thanks for the offer. OK, genius. Let us know how much you are paying for recordable Blu-ray discs. And what is the "more" in "all this and more"? OK, genius. Let us know how much you are paying for recordable Blu-ray discs. And what is the "more" in "all this and more"? Also wondering about copyright protection. You can try it and find out. From their site tipard.com/copy-dvd/dvd43-alternative (accessed in their main page from the tab "hot tips", link "Decript..."
Yes, it's always good to protect your media. That's what this program is for. I just made a copy of the hulk DVD works fine. Download, install and active on my desktop easily.